Hell Stacked Buttermilk Fried Chicken Sandwich! This my Hello Kitty Foodies is the process of “Food Well Built” at Stacked. I have so many favorites at Stacked. I love how this restaurant lets you customize every thing from their sides to their salads to their amazing burgers. I am so excited that Stacked has a new item on their customizable menu. The latest and greatest addition is their Buttermilk Fried Chicken Sandwich! Yes! 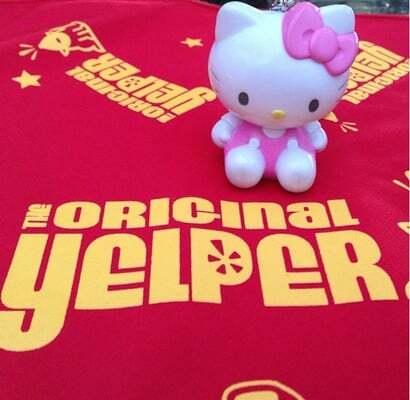 Hello Kitty Foodies we can now get our fried chicken fix at Stacked. Stacked’s new Buttermilk Fried Chicken Sandwich has a fresh chicken breast that is hand-breaded with buttermilk batter and fried to a golden brown. It is stacked with pickles, red onion, green leaf lettuce and chipotle mayo on a brioche bun. Just like any other item on the menu, this item can be stacked any way you like. I stacked it Hello Kitty Foodie style ;). My Hello Kitty Foodie style Buttermilk Fried Chicken Sandwich consisted of the golden brown fried chicken sandwich stacked with green leaf lettuce, onion strings, sautéed mushrooms and mac and cheese all on top of the brioche bun. I had garlic aioli and honey mustard on the side for dipping. The Buttermilk Fried Chicken Sandwich was phenomenal. The fresh chicken breast was superb in flavor and had a bit of a spicy kick to it. The addition of the crispy onion strings gave it an extra crunch! I’m also a big fan of Stacked’s creamy mac and cheese and this brought a bit of Southern deliciousness to the sandwich. My Buttermilk Fried Chicken Sandwich also paired well with Stacked’s delicious sides of garlic parmesan sweet potato fries and onion strings. In addition the new Buttermilk Fried Chicken Sandwich, Stacked has an amazing shake of the month this month! This month’s special shake is the Caramel Delight.The Caramel Delight Shake is inspired by the @GirlScouts Caramel deLites cookie. The Caramel Delight shake is truly a delight! It has caramel, coconut, swirls of chocolate and is topped with the@GirlScouts cookie! I loved this new shake just as much as I loved the Buttermilk Fried Chicken Sandwich!